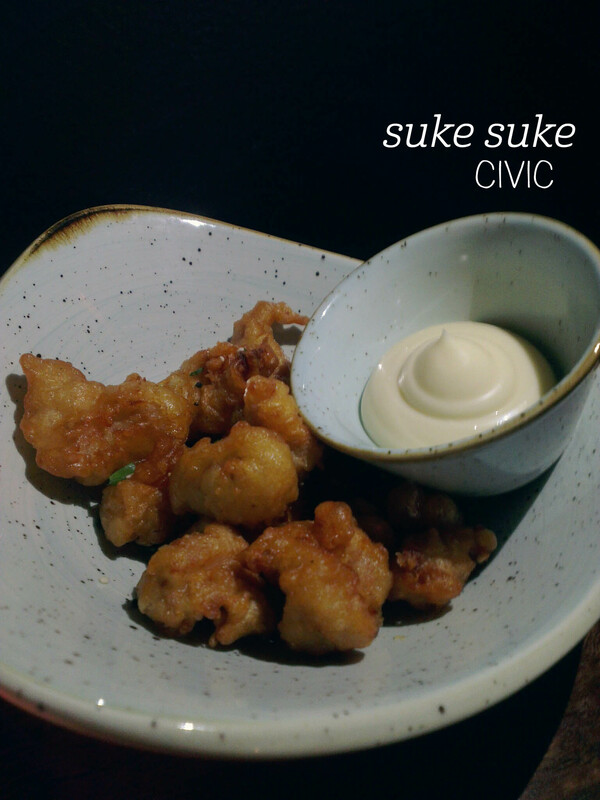 Suke Suke is the coolest new kid on the block, bringing a bar-like feel to the idea of a Japanese izakaya (drinks and little bites to eat). We started with cocktails – I ordered the Hello Kitty Sour ($16), with lychee, yuzu, lemon and peach bitters. This was really well-balanced, with strong citrus tones and just enough sweetness. Next were the gyoza ($8 for 4), which were probably our favourite – perfectly charred bases, thin skin and great pork and prawn flavour inside, these were great with the accompanying dipping sauce. Dish 2 was the takoyaki ($8 for 5) – these were tasty, but seem to have been crumbed and fried, rather than cooked traditionally, and only had tiny pieces of octopus inside. However, the toppings were on point with heaps of bonito flakes and sauces. The popcorn chicken kara-age ($13) was fabulous, with perfect morsels of lightly battered chicken and heaps of mayo for dunking. I also really enjoyed the agedashi tofu ($8), but would have liked less spicy togarashi seasoning and more seaweed. Finally, we tried the beef yakitori ($11 for 4 skewers). Sadly these were lukewarm, but the beef was tasty and topped with sesame, which matched well. A tad pricey for the serves, but with great service and atmosphere, I’ll be back. 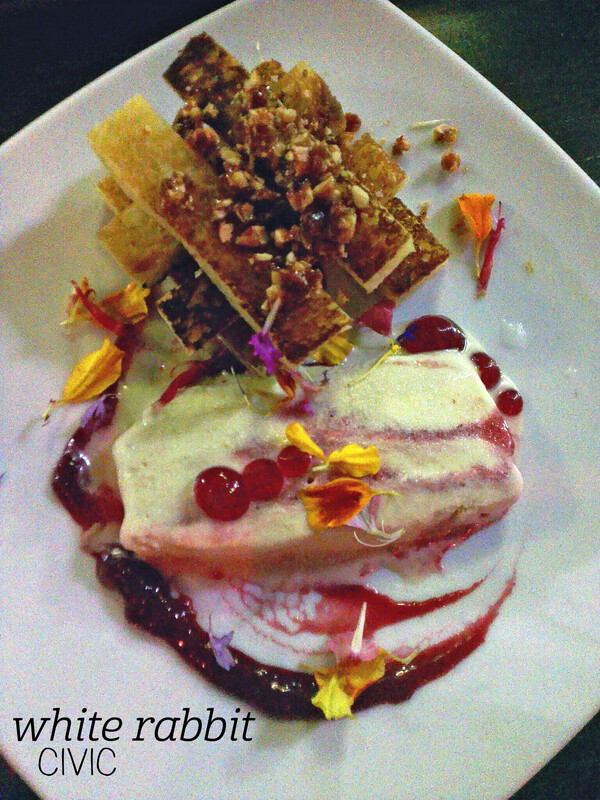 This was a mostly icecream dessert, so here it goes for #icecreamthurs this week! Let me say straight up, White Rabbit has beautiful cocktails and delicious desserts. This is a great place for a special treat, and I started by ordering The Dodo ($20), with gin, orange bitters, lemon and blueberry syrup hiding under a thick layer of passionfruit foam. Yum, yum, yum. 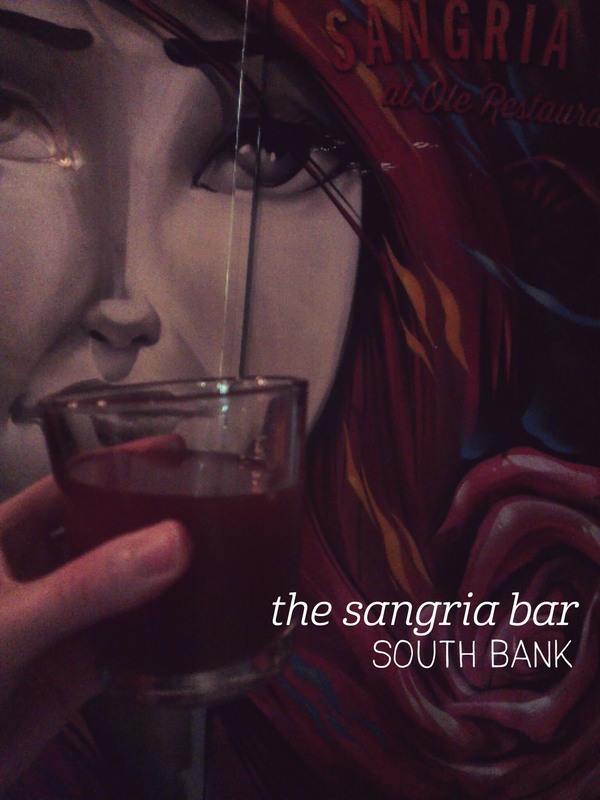 This was utterly delightful – a nice balance between sweet and tart, I will be back for this drink. For dessert, I ordered the fried brioche sandwich ($16), with peanut butter gelato and raspberry swirl sorbet. When the dish came out, it was clear that the brioche was more soldiers than sandwich, topped with a nut crumble (be warned those with allergies, this is not noted on the menu) and edible flowers. The brioche was very rich, but somehow dipping it into the raspberry jam and melting icecream helped. The peanut butter flavour was great in the super creamy icecream, and although it took a while to find the raspberry swirl, when I did it added a great tartness to the otherwise very sweet dish. This is one for the sweet-tooths, to be sure. I organised a dinner/drinks event for a group of 20 and was delighted that The Dock could cater for a group this size, as I was really keen to try their food. Their nautical theme suits their Foreshore location, and includes barrels, rope and wooden furniture for the total seafaring look. 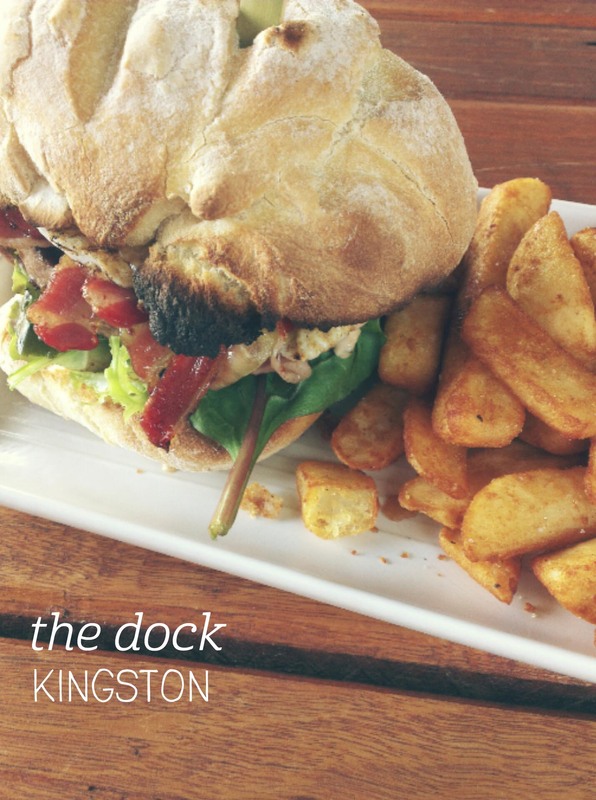 The menu has plenty of pub favourites – pizza, schnitzel, burgers, fish & chips etc. – and a selection of ‘Docktails’ to drink. I went for the burger – Angus beef, with cheese, pickles, bacon and egg and ranch dressing. The food came out very quickly and I was impressed at the serving size. The chips that came with the meal were incredible – they had a thin crispy outer with soft-to-perfection potato inside, and were really tasty, even without the tomato sauce. The burger bun was a thick sourdough roll that you would expect to get from a good bakery, and whilst this made it a bit hard to eat, it added great flavour. The beef patty was densely packed and quite heavy – no chance of leaving hungry – and the ranch dressing was a real highlight. The streaky bacon and fried egg rounded it out nicely for a good value pub meal. I don’t often go out for drinks, but on this occassion a few of us wanted to keep the party going after attending our friend’s wedding. We were quite dressed up, so decided to head into town and try the cocktails at Hippo. The bartender explained that they’re usually more of a ‘winter bar’, but throughout our time there, plenty of groups arrived and settled in for the evening. The cocktail menu had a number of options that ticked boxes for me – I prefer a gin base, and so went with the ‘Charlie Chaplin’, which, according to the bartender, pre-dates the Cosmopolitan and is a better cocktail. I’d have to agree. He carefully constructed the drink, including squeezing fresh lime into the mix of sloe gin and apricot brandy, having rubbed the skin across the outer rim of the glass, which resembled the 1920s-style champagne glasses. 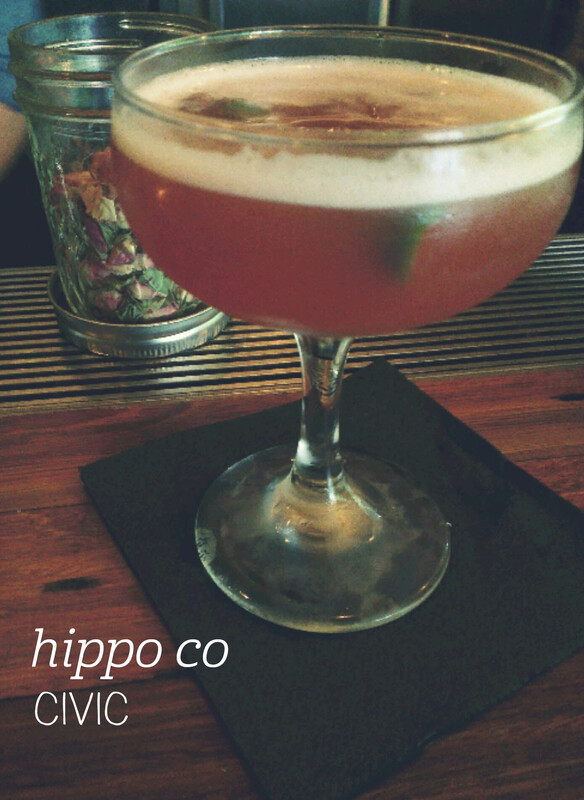 The cocktail itself was lovely and light, with a complex flavour that ended with an overtone of lime. I happily nursed mine, but felt that it did taste better initially when it was colder than later in the evening. I could have easily sipped several – I will be back soon to do just that! After a very filling high tea, we decided we couldn’t visit Raffles and not go up to the Long Bar, home of the Singapore Sling. A friend who’d studied in Singapore had recommended going if only for the novelty of the peanuts. The peanuts? Yep, it’s all about the peanuts. At every table there’s a big wooden box full of peanuts still in their shells, and the Long Bar allows you to experience the imperiousness of the colonial days, when servants would pick up the shells that the British cast on the floor. That’s right, you can, and indeed are expected to, throw your peanut shells on the floor for someone else to clean up afterwards. It’s actually pretty fun. You are also fanned by the modern equivalent of slaves with palm fronds – mechanised palm fans on the ceiling. 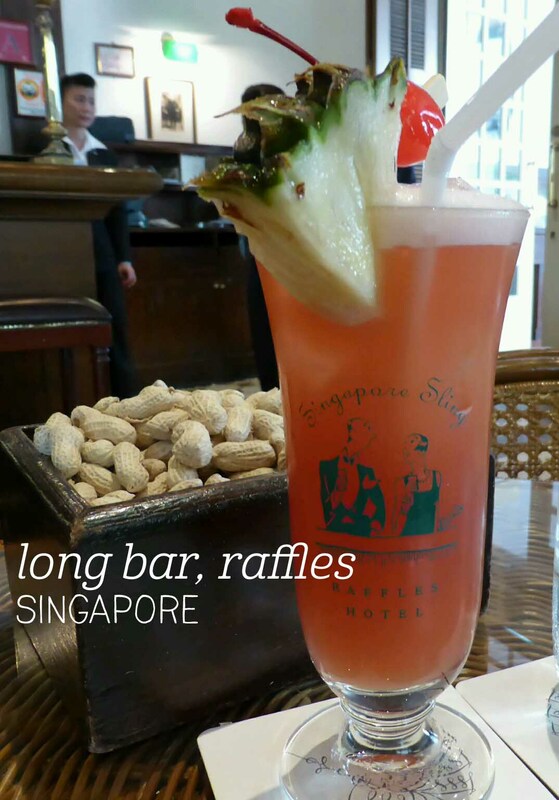 The Singapore Sling itself is the other draw card, having been famously invented here. I’d never had one before, so it seemed like a good place to start. In the tropical temperatures, the sweet and fruity drink was refreshing and didn’t taste overly alcoholic, which could be dangerous, but was simply delicious. 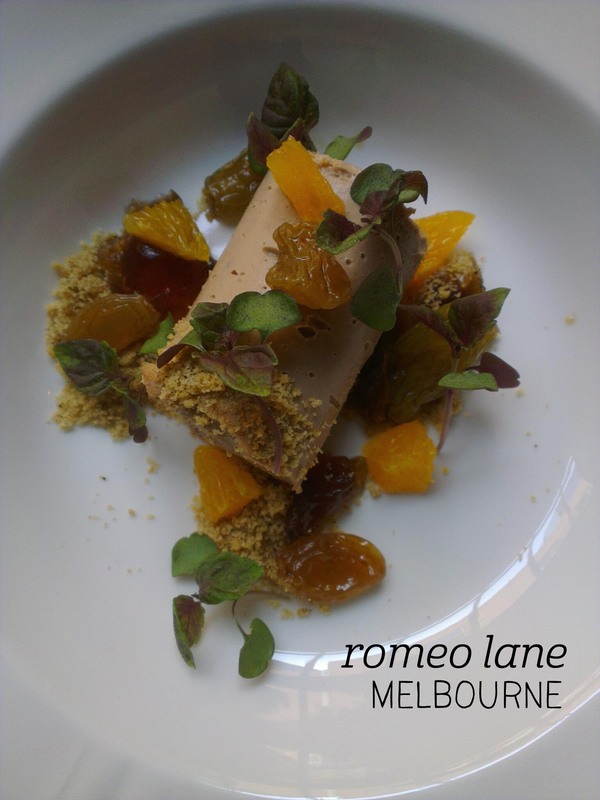 I came across Romeo Lane wandering the side streets off Little Bourke Street and am so glad that I did. I fell completely in love with this gem of a bar, from its stained glass lamp to its old-fashioned napkins. I was welcomed on arrival and brought a glass of water in a heavy crystal glass to the seat I’d chosen in the window overlooking the laneway. The cocktail list is simple but sophisticated, and I picked the White Light with champagne, sherry and peach. I was a bit peckish and ordered a serve of the duck and sherry pate as well. My cocktail came out first, served on a delicate silver dish, and brimming with bubbles. The drink was well-balanced, with sweetness from the peach and a rounded richness from the two alcohols. It was a pleasure to savour, and was obviously made by a practiced hand. Their cocktail menu changes monthly, so get in quick to try this one! The pate was equally superb, served with crispy lavosh strands, raisins, tiny citrus wedges and shiso. The log of pate was smooth, rich and beautifully flavoured, and the accompaniments only enhanced the elegant flavors. Romeo Lane is a class act very much worth visiting.